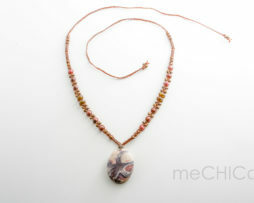 Beautiful handmade necklace of brown waxed rope. 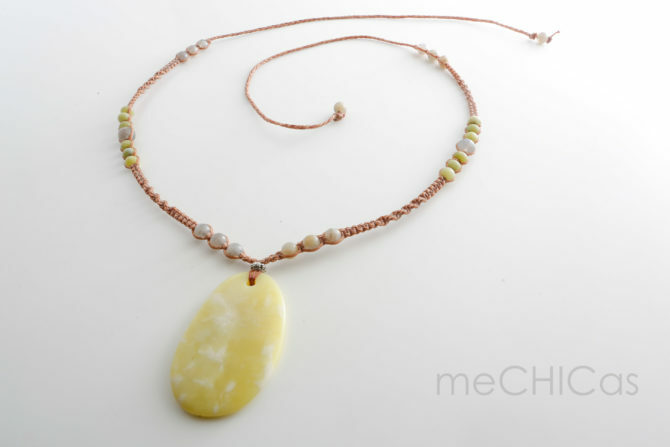 The big pendant is made ​​of lemon jade, and is combined with stones of labradorite and serpentine. 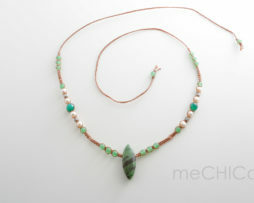 This necklace can be knotted in various lengths. 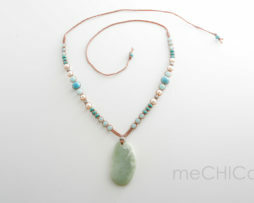 Categories: all necklaces, meCHICas collection, meCHICas • necklace, sale. Beautiful handmade necklace of black waxed rope. 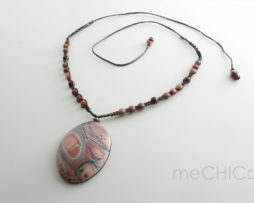 The pendant is made ​​of porcelain jasper from Mexico, and is combined with stones of rhodonite, and red garnet. 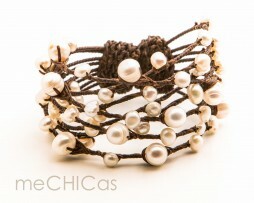 The necklace can be knotted in various lengths. 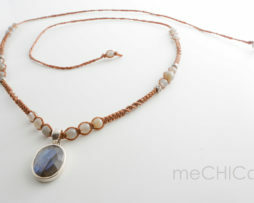 Unique handmade necklace of brown waxed rope. 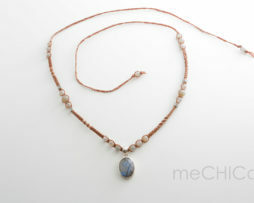 The silver pendant with a beautiful faceted labradorite is combined with stones of labradorite and silver-plated beads. 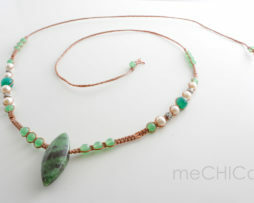 The pendant is made ​​of fuchsite and is combined with stones in green tones; aventurine, green agate and white pearls. 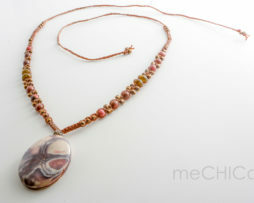 This beautiful necklace can be knotted in various lengths. 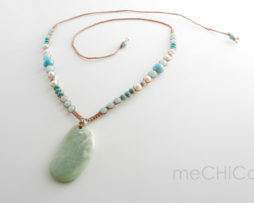 The big pendant is made ​​of jade, and is combined with stones of turquoise howlite, aquamarine and white fresh water pearls. 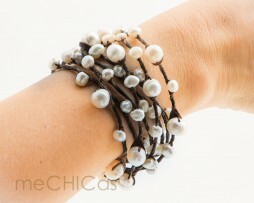 This unique necklace can be knotted in various lengths. 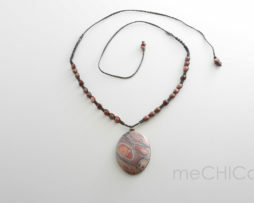 This unique pendant is made ​​of porcelain jasper from the north of Mexico and is combined with stones of rhodonite, labradorite and brass beads.